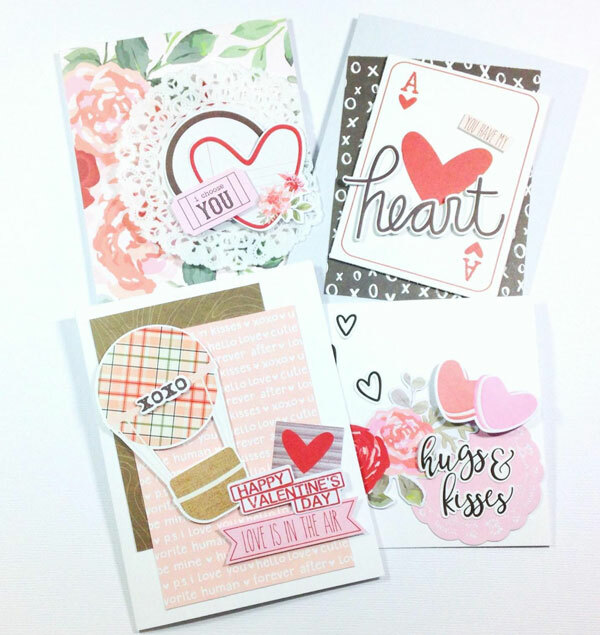 Using the Simple Stories Kissing Booth Scrapbook Collection Kit and Bits and Pieces Pack, I created four different card options. Honestly, I could have kept going—there are a ton of great patterns to mix and match. 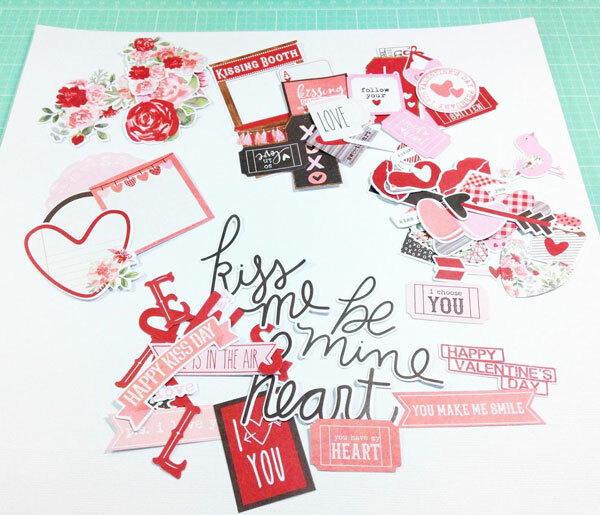 When using an embellishment pack for cards, I first like to divide up the pieces into categories. 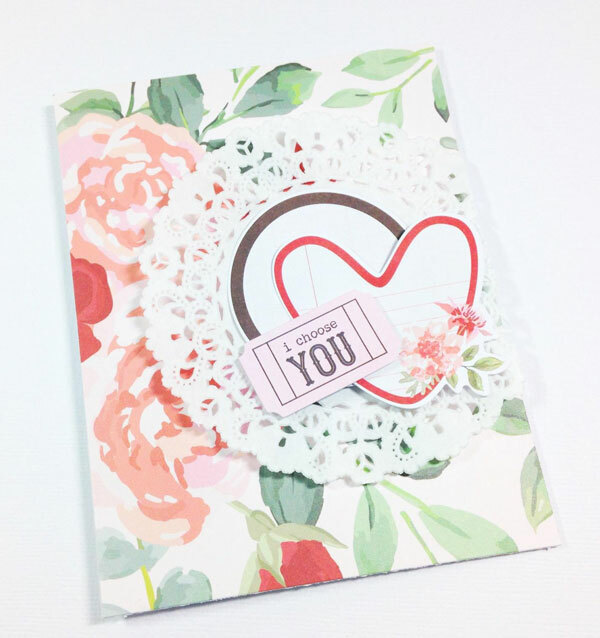 For this pack, I created little piles of florals, words, icons, grounding pieces (cards, doilies), and tags. I keep them on a 12×12 sheet of cardstock so I can move them on and off my desk without mixing them up. I loved the big, bold florals of the Always Be True paper, so I used that to cover the front of a white, A2 sized notecard. I added a doily and some of the Bits and Pieces to the front for some pretty layering. When trimming down this particular piece of paper, I wanted to have the blooms peeking out of the left side of the card, so I cut the piece accordingly. 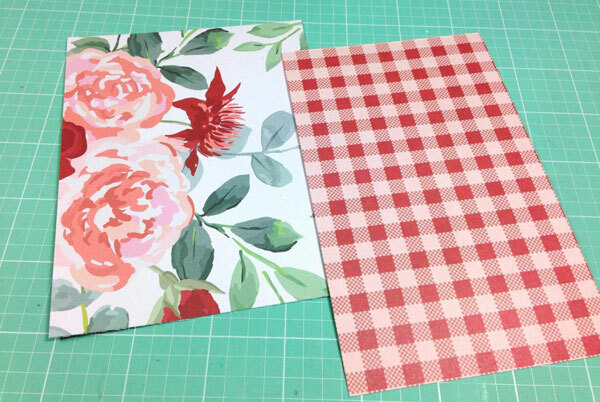 The great thing is that you have a gingham pattern on the back that can easily be used for another project, so there is no waste. This card is very clean and simple. I just used some of the Bits and Pieces and a few stickers from the kit to create a cluster off to the side of a white notecard. 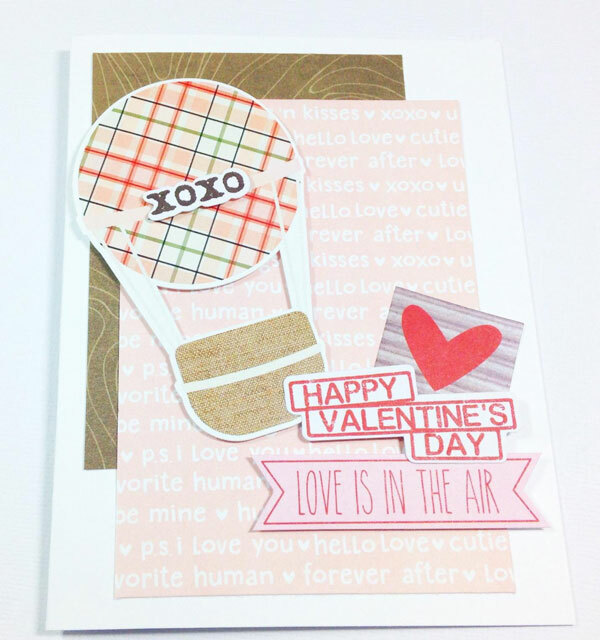 For this card, I trimmed out a card from the 3×4 Elements paper found in the Kit so I could use the woodgrain pattern. I covered a portion of it with a panel of Love Day to create my scene. A balloon sticker from the Kit and some more Bits and Pieces completed the design. 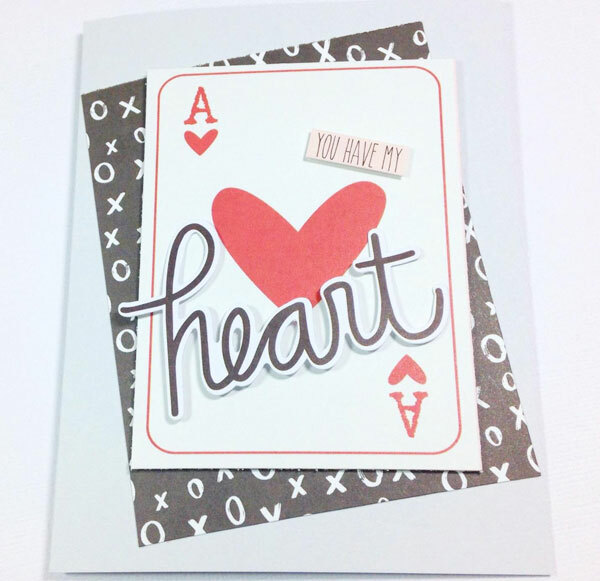 This one is a fun, masculine-style valentine. 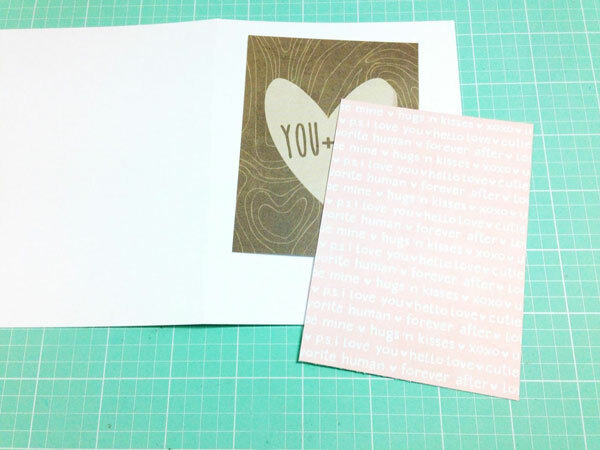 I used some paper from Hello Love—found in the Kit, as a panel and adhered it to some light grey cardstock. On top, I added the playing card from the 3×4 Elements paper also found in the Kit. 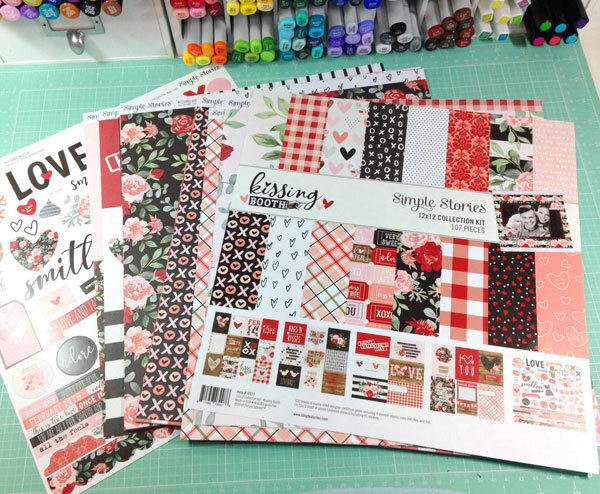 Once you are finished creating cards and scrapbook pages from themed kits, don’t feel like you have to put them away for next year. 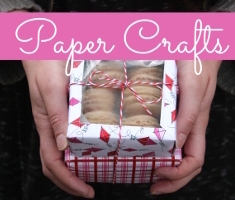 Sort out all the basic patterned paper, like stripes, dots or florals. 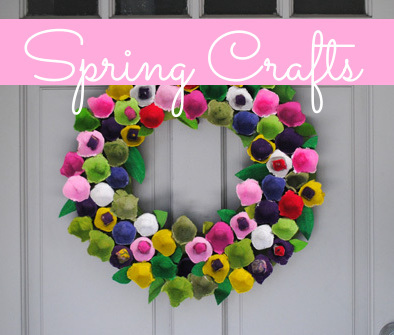 These can be used year round for other projects. The same goes for embellishments. 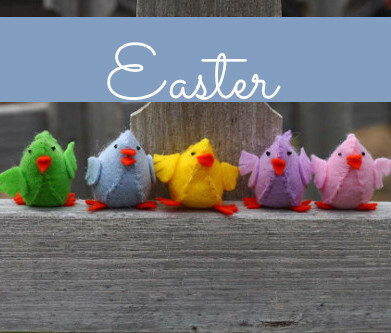 See what you can gather up for additional non-themed projects. 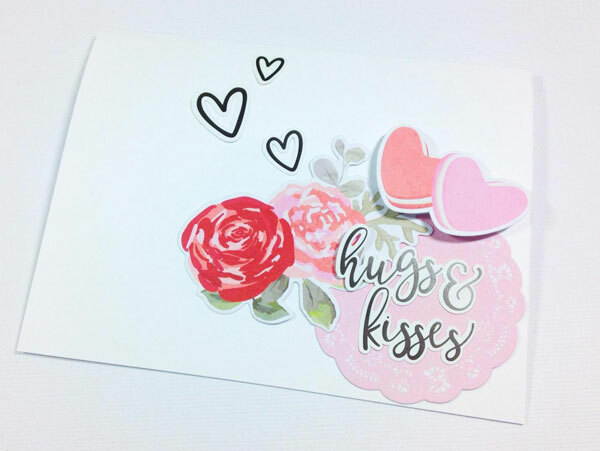 Flowers, arrows, and even hearts are great to keep all year.